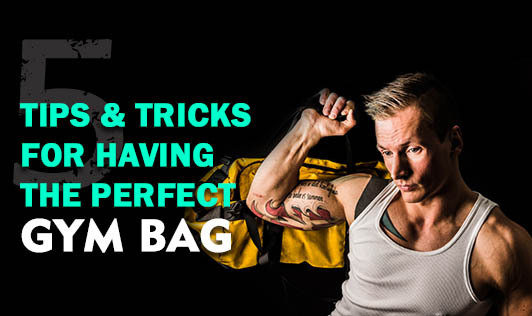 Packing your gym bag may seem pretty simple but let me tell you, there is nothing worse than getting to the gym and realizing that you have forgotten your music, shoes, or clean workout clothes at home. Avoid such scenarios by setting a packing routine for yourself. This guide will help you cover all the gym essentials you need for your workout. Looks: Well, your bag doesn't have to look very nice to be useful, but you may still want to buy one that is more appealing to the eye if you're planning to carry it around throughout the day or going to work with it. Ladies can go for the feminine trends. A large shoulder bag which doubles as a gym bag is a good option too. Comfort & Size: Go for a bag which you're not only comfortable carrying, but also comfortable packing. A padded bag with an adjustable shoulder strap is more comfortable for the ones who carry heavy things. Go for a spacious bag if you carry too many things, as it will make digging things out easy when you need them. If you're the kind, who doesn't like to carry many things, then a smaller bag will be more useful. One can also go for bags with different-sized pockets, as they make packing and finding things easy. Durability & Maintenance: Buy a bag made from thick and durable material. The best material for a gym bag is antimicrobial fabric, which fight odors and is washable, because you don't want your gym bag to smell like sweaty gym clothes. Don't keep valuable things in your bag as you can lose them! Pack your bag a night before, so that you are ready to grab-and-go the next day. Remove your sweaty clothes out of the bag as soon as you get home. Re-stock snacks and necessities as and when you finish them. Wash your bag every now and then!